Installation images from exhibition at MOT International, Brussels. 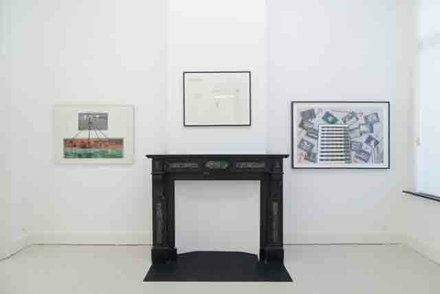 This is the first solo exhibition in Belgium devoted to Stephen Willats' drawings and works on paper representing hislong, and well documented, association with modern buildings. 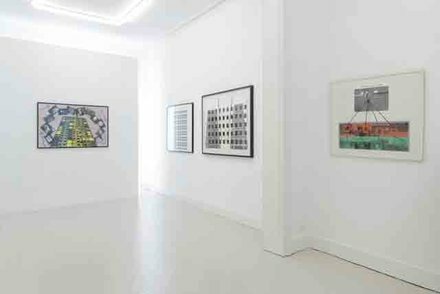 While there have been many major exhibitions of his wider building-related works, an essential part of his practice has always been the role of drawing and graphic work in representing key concepts surrounding the reality of ‘the modern building’ in contemporary life. 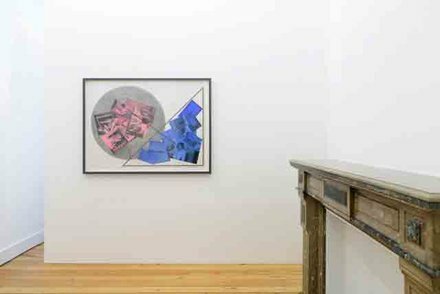 Exhibited works in ink, pencil, watercolour and collage from 1978-2005 express Willats' fluidity in and sustained preoccupation with the medium.‘Where Do I Belong’, the exhibition’s earliest work, takes the form of a diagram to network a young women with a series of unoccupied sites; a housing estate and surrounding wasteland. The work is constructed to a specific conceptual model which examines her potential within the surroundings, identifying the ‘hidden values’ in sites outside of institutional structures.A significant tool which Willats has used since the 1950s, diagrammatic forms organise drawings such as Conceptual Tower Series Nos.9 and 10, while works such as Tower Block Drawing No.2 chart inter-connective signs, symbols and objects. 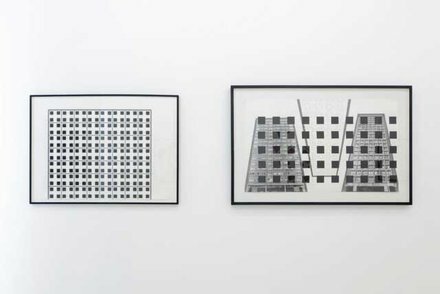 The image of the modern tower block is reprised throughout the exhibition in cell-like black and white grids. Exploring architectures of social housing the drawings model flows of information and map social relationships.In ‘A Work Involving Three Culturally Separated Institutions’ (1987) Willats delineates a direct exchange between action performed outside the building with polemics contained within the interior space of the gallery. 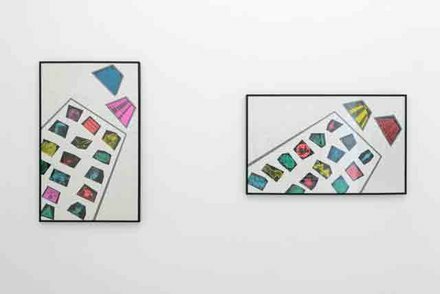 The artist’s drawings however, are not illustrative; rather they are speculative, active proposals which consider how art might be used to mobilise self-organising systems.